Lake Placid may be quite a distance from Hollywood, but it played a part in early movie history. The snow, winter sports, and mountains made the storylines come to life. When filming was done in town, it often made the front page of the newspapers. All of the films listed below were silent movies, except for the last one, Dangerous Nan McGrew. Here is a peek into our Hollywood past. 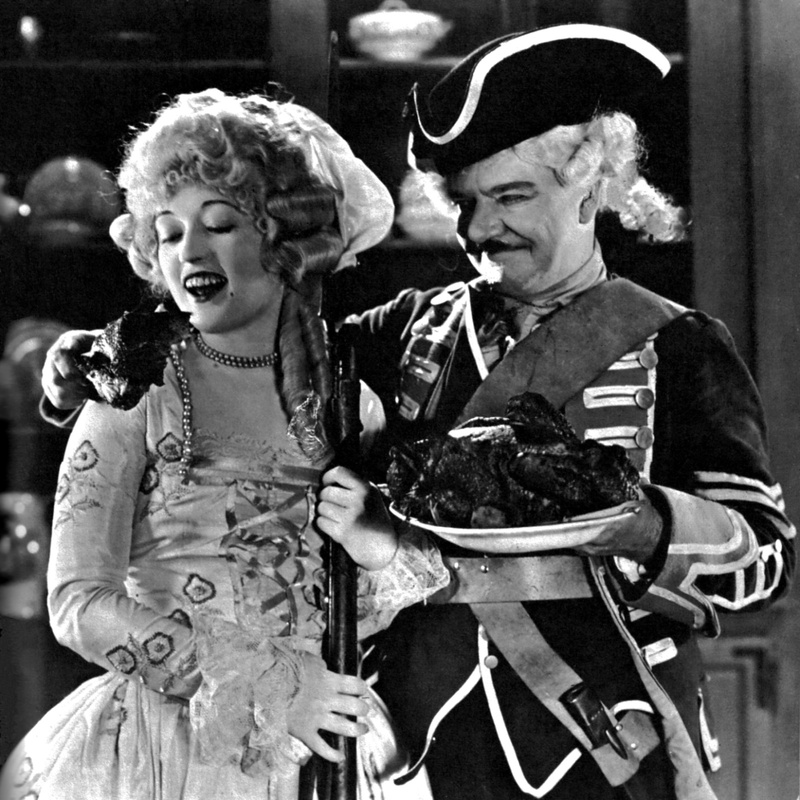 This film was based on a book and play titled, “The Beautiful Rebel.” Set in the countryside of New Jersey during the Revolutionary War, leading character Janice Meredith (played by actress Marion Davies), who comes from a Tory household, is pursued by a patriot and friend of George Washington’s, Charles Fownes. The majority of the motion picture was filmed in Plattsburgh; however, one particular scene required snowy fields to represent Washington at Valley Forge. Lake Placid happened to be the best place to film at this time. Carpenters, scenic artists, and technicians arrived in town and started work on building a small village set for the movie on Lake Placid Club’s Highland Farm on Averyville Road. Once the set was complete, over 200 workers arrived by train from Plattsburgh to film the scenes needed. In this film, a young man named Teddy Ward is interested in an artist, Jeannie King, and would like to marry her. His father wants him to marry a different woman, but will allow him to marry Ms. King if he can make their hotel, the Mountain Inn, a profitable operation. Teddy agrees and has the idea of arranging an ice-boat race and rewarding the winner $10,000. 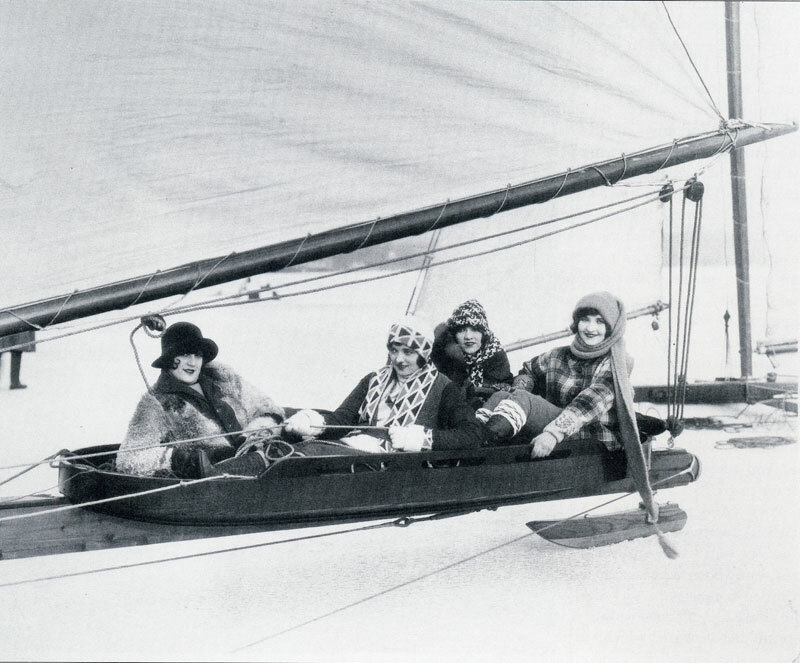 Film stars arrive to the hotel along with a champion ice-boat racer. His father refuses to pay the winning amount. Filming of this movie was done at the Lake Placid Club and completed in about three weeks. The company of 40 set up their headquarters in the Onondaga Cottage. Members of the Club and guests of the Club were used as extras. One of the most noted extras and guests of the Club was Hans Troye who was a ski jumper from the University of Wisconsin. He was filmed ski jumping at the Intervale jump. The leading roles were played by Paramount Junior Stars, who were students of the Paramount Picture School. Famous star, Clara Bow, made a guest appearance in the film. Scenes in the film included exterior shots of the Club and winter sports and activities. In this movie, character “Kodiak” Maclean (played by actor Chester Conklin) is a gold prospector in the Alaskan Klondike. After years of struggle, he finally strikes gold and becomes a millionaire. His daughter, Juneau (played by Aileen Pringle), is ready to leave Alaska. She makes the move into a suite at New York City’s Ritz Hotel and falls into the hands of swindlers. Lake Placid’s role in this film was to recreate the family’s time in Alaska. On February 10, 1926, members of the motion picture arrived in Lake Placid and filmed scenes at the Hurley & John farm. One member of the cast was Sonny, a black bear cub who was Juneau’s pet in the film. On the day of filming, Sonny was taken out on location and found it to be too cold and refused to act. There were reports that they tried to lighten his mood by warming him with blankets and condensed milk, but he would still not act. In place of Sunny, Lake Placid resident Paul Steven was able to offer his pet bear, who took Sonny’s place in the movie. 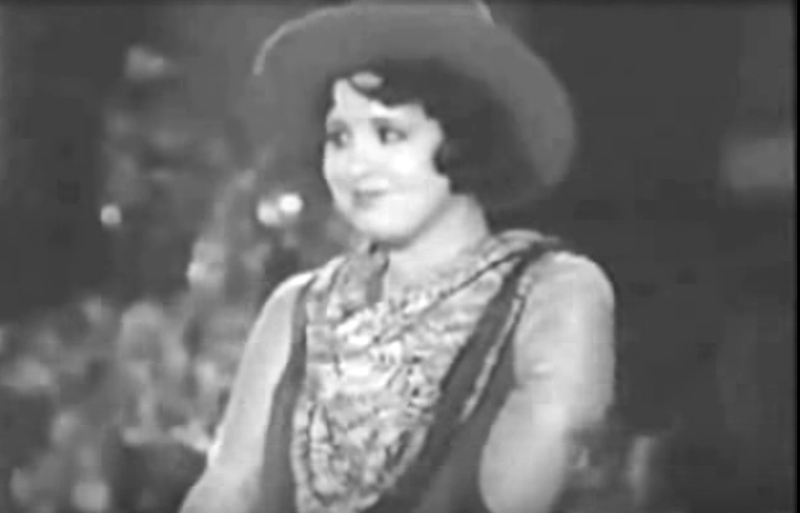 Helen Kane, who was known as the “boop doopa doop” girl, played the leading role of Dangerous Nan McGrew, a sharp-shooting expert. She is a part of a traveling medicine show and ends up stranded in the Canadian northwest. Mrs. Benson, a local in town, invites her to put on a show for her Christmas-Eve guests. While performing her songs in front of the crowds, Eustace Macy, Mrs. Benson’s nephew falls in love with Nan. The film was shot in mid-March of 1930, with the outdoor scenes being shot in Lake Placid. The Senior Class of Lake Placid High School worked as extras in the film and can be seen throughout the movie. Instead of bringing actors up to Lake Placid, they had the local citizen act as doubles for some of the roles, one of them being Evelyn Wilkins, a student from Lake Placid High School. She doubled for actress Roberta Robinson and because of this, Robinson was able to continue working on a comedy movie in the New York City area. A chase scene by a mounted policeman was filmed on River Road in Lake Placid.